Justin the narcissist is chastising Jody for recording his lackeys efforts to railroad her. Tonight I was expelled from the caucus of the Liberal Party of Canada. Sadly the decision was made without me being provided any opportunity to speak to national caucus. This is profoundly disheartening for me, my staff and my family – and I know people in Markham-Stouffville will also be disappointed. I was accused publicly by people in caucus of not being loyal, of trying to bring down the Prime Minister, of being politically motivated, and of being motivated by my friendship with Jody Wilson-Raybould. These accusations were coupled with public suggestions that I should be forced out of caucus. These attacks were based on inaccuracies and falsehoods. I did not initiate the crisis now facing the party or the Prime Minister. 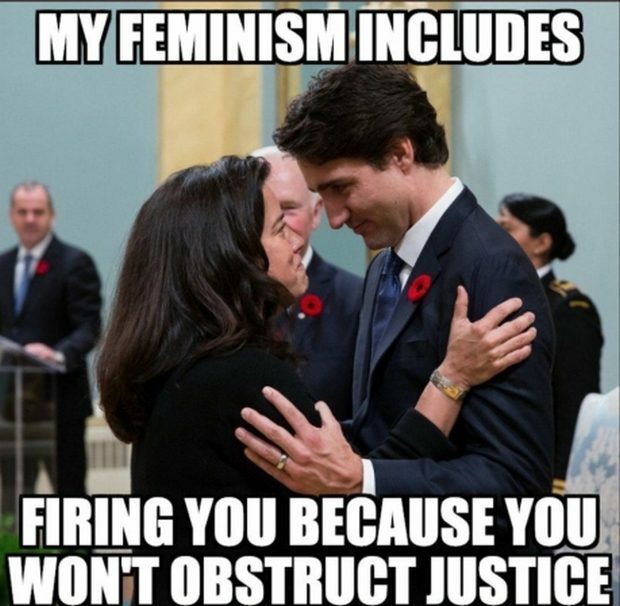 Nor did Jody Wilson-Raybould.